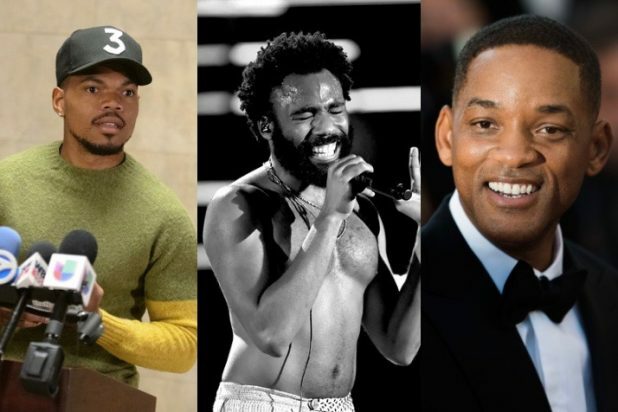 Will Smith, Childish Gambino, and Chance the Rapper are among the nominees for the 23rd annual Webby Awards, the International Academy of Digital Arts & Sciences announced Tuesday morning. The Webby Awards honor excellence on the internet, including websites, video, advertising, media & PR, apps, mobile, as well as voice, social, podcasts and games. Nominees are chosen by members of the International Academy of Digital Arts and Sciences, which include: Reddit co-founder Alexis Ohanian, Instagram co-founder Kevin Systrom, actor and activist Jesse Williams, Mozilla chairwoman Mitchell Baker, GE CMO Linda Boff, “Pod Save the People” host and activist DeRay Mckesson, Girls Who Code Founder and CEO Reshma Saujani, and Pineapple Street Media co-founder Jenna Weiss-Berman.